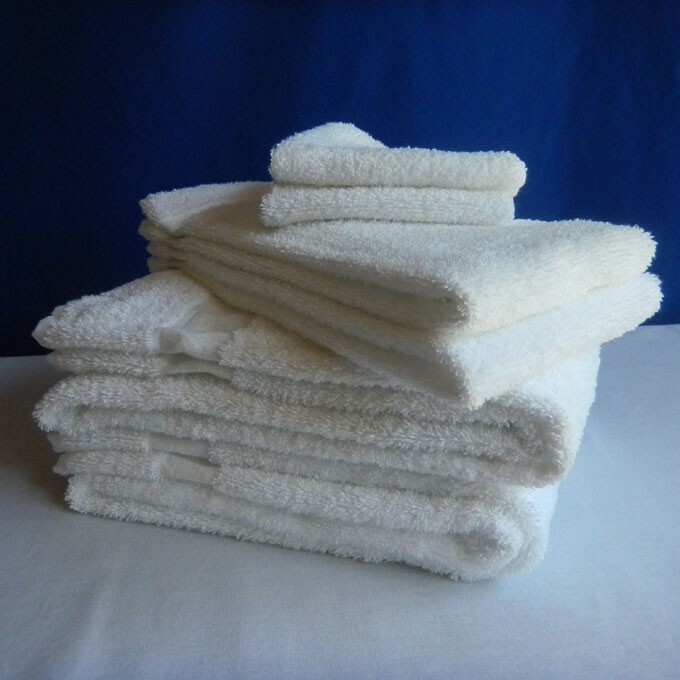 Our standard bath towels are white and measure 46" x 24". This towel measures 46" x 24". White only.